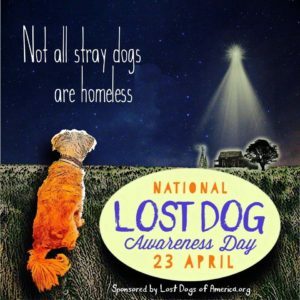 On April 23, 2014, Lost Dogs of America created and launched the first National Lost Dog Awareness Day (NLDAD), a canine-focused day aimed to bring attention to all dogs that are lost each year, while also celebrating the thousands of lost dogs successfully reunited with their families. Lost Dogs Of America (which Lost Dogs Illinois is a partner) is an all-volunteer organization with the exclusive purpose of providing a free service to help reunite families with their lost dogs. The tenacious efforts of the combined states’ volunteers efforts, along with over 500,000 fans have helped reunite over 100,000 dogs with their families since 2011. Getting lost dogs back home reduces stress on owners’, staff at shelters/animal control facilities, other dogs in the facilities, and ultimately saves taxpayers’ money. It also opens up kennel space for truly homeless dogs. “When a dog goes missing, many families give up looking for their lost pet. National Lost Dog Awareness Day was created to give hope to the families still looking for their dogs and remind the public that “not all stray dogs are homeless dogs”. This entry was posted in National Lost Dog Awareness Day, Our Organization and tagged National Lost Dog Awareness Day on April 12, 2018 by Susan. April 23 is the second annual National Lost Dog Awareness Day Shelters and rescues across the United States use this day to bring attention to the many dogs in their care who have family looking for them. We live in a world where people sometimes assume the dogs they find are unwanted. Lost Dog Awareness Day has the stats to prove them wrong. Lost Dogs of America (LDOA), a coalition of states, including Lost Dogs Illinois has documented over 42,000 reunions since 2011. LDOA facilitated these reunions by providing tips to owners, by using Facebook pages for individual states, and by providing free flyers courtesy of HelpingLostPets.com. LDOA makes it possible for dogs such as; Molly’s photo was immediately shared to other Facebook sites. The person who found Molly had taken her to a vet to be scanned for a microchip, which Molly did not have. However, staff at that veterinary practice looked at Lost Dogs Illinois Facebook page and saw Molly’s photo. Molly was home within an hour and a half of being posted as lost. Social media has brought a new awareness to many that rescued dogs often have families who miss them. We invite you to participate in the observance of Lost Dog Awareness Day. 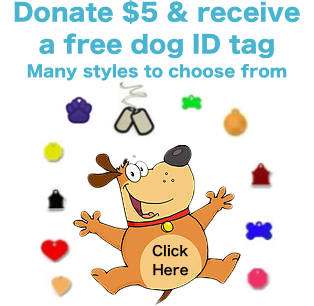 LostDogsofAmerica.org has a wealth of information to help people who have lost or found dogs. Why should you help us create awareness? Opens up cage and kennel space for truly homeless dogs. 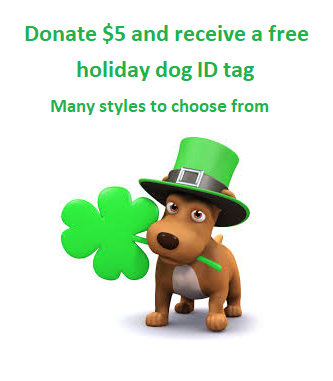 It also shows individuals with lost dogs that their community cares! “When a dog goes missing, many families give up looking for their lost pet. National Lost Dog Awareness Day was created to give hope to the families still looking for their dogs and remind the public that not all stray dogs are homeless” Susan Taney, Director, Lost Dog’s Illinois. This entry was posted in National Lost Dog Awareness Day on April 22, 2015 by Susan. 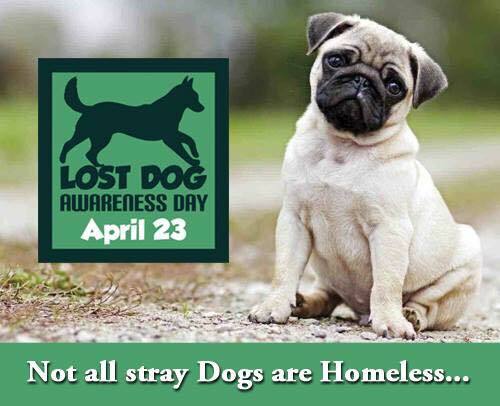 We are gearing up for the second annual National Lost Dogs Awareness Day which is Thursday April, 23rd. We are reaching out all over the nation to increase awareness and to show that not all stray dogs are homeless. Most have a family out there frantically searching for them. They don’t need a new home, they just need help getting back home. Join us on our mission to spread the word and increase awareness throughout the month of April, Then join us on Thursday, April 23 as we observe the second annual National Lost Dogs Awareness Day created by the founding members of Lost Dogs America. 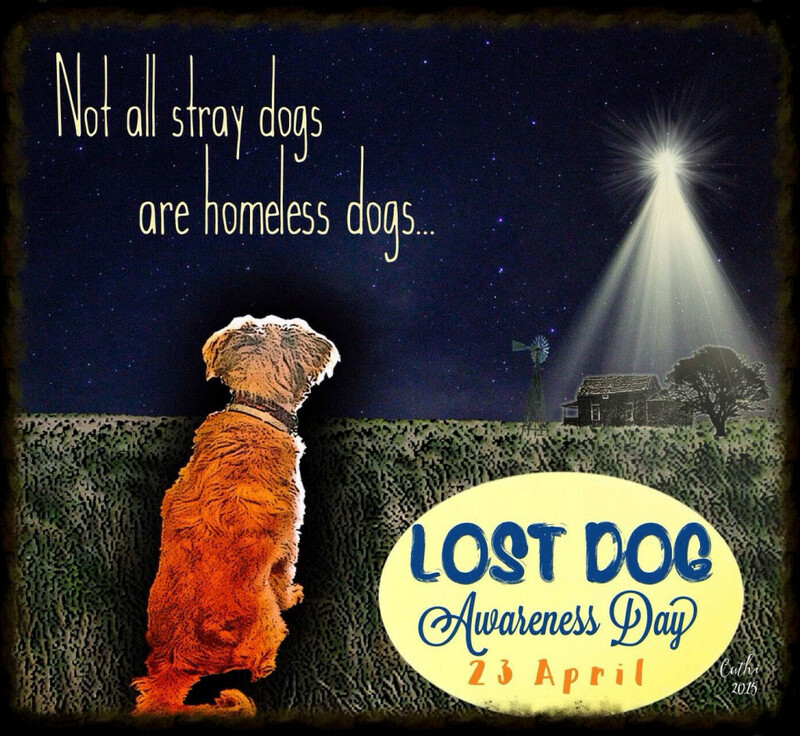 This entry was posted in National Lost Dog Awareness Day, Our Organization and tagged animal control, animal shelters, lost dogs, Lost Dogs Illinois, lost pets, National Lost Dog Awareness Day on April 9, 2015 by Susan.